Branded promotions are a great way to acquire new customers, retain old customers, and help build brand awareness at a moderate cost. When choosing a product or campaign it is important to understand the target audience and build a branding strategy that is tailored to each market segment. The image consultants at Instant Imprints are experts at orchestrating a winning formula to help your brand. Instant Imprints national network has the best selection of products to advertise your establishment and create more visibility. Creative and effective promotions are critical in keeping your restaurant top of mind in the highly competitive food industry. Whether you have an independent small cafe or are part of a large national franchise, Instant Imprints can help you grow. 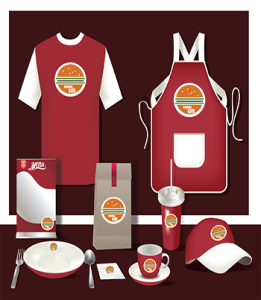 We can also create a complete online merchandising store for your loyal customers and staff members. Let us be your fulfillment department and branding partner.